The Singa (Medium Jumbo) exhibits clearer bass and treble response making it ideal for the fingerstyle player or singer-songwriter. Maple has a very light colouration, and produces a sound with a very fast attack, particularly suiting faster, percussive styles of play. 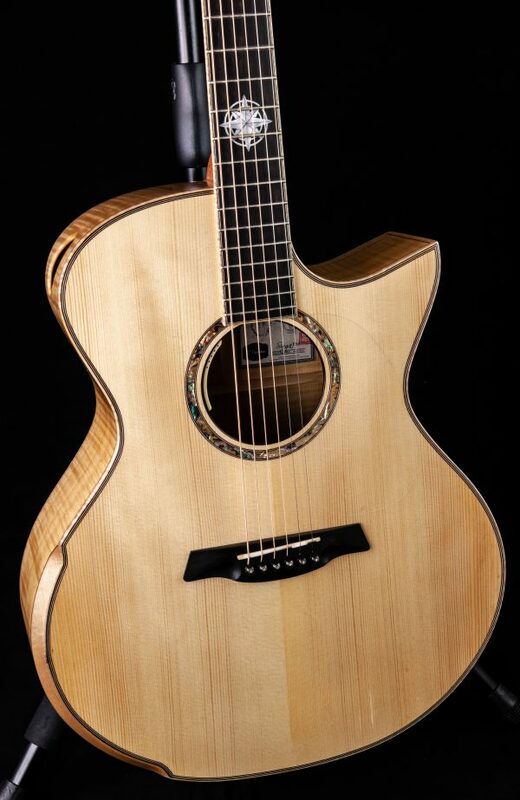 Tonally, maple tends to enhance the mid-range and trebles, and works well when combined with a spruce or cedar top.